The past week and a half has been a flurry of scrambling, confusion, negotiation, and way too much driving. Half the week consisted of mild panicking because things weren’t going our way, then the other half of the week consisted of mild panicking because things were going too well. I was also re­minded that you have to deal with completely incompetent and shallow people no matter what you’re doing… though unfortunately, for the sake of not causing problems, I’m going to choose not to elaborate on that final point. Two weekends ago, we at Tempo Storm found out that our PUBG team qualified for the National PUBG League (NPL), the official league for the game PlayerUnknown’s Battlegrounds. This is an offline tournament, which means that all participants must travel on site to the production studio for their games. This naturally means that they have to live somewhere within the proximity of the studio… which sounds a bit familiar if you followed my blog posts back in April and May when we were setting up for our H1Z1 team. The league offers hotel rooms as lodging for the players, but we decided to set up a team house instead, as hotel Internet connections are notorious for having severe latency and reliability problems. With a substantial amount of real estate experience under my belt, I ended up being the best candidate to get the team house fully set up, so I made my way over to California to begin the house scouting and signing process. Of course, giving too many more details about this isn’t really possible, because I don’t really want to give any hints that may allow someone to pinpoint the location of the team house for the sake of the players’ safety and privacy – so, as a result, I won’t be publicly sharing the seemingly infinite number of houses I looked at in the past week. However, here are a couple photos that show two things I learned. 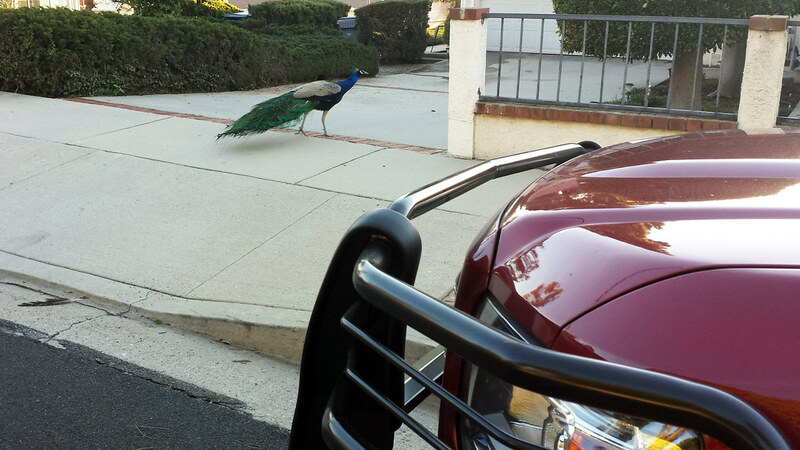 Lesson #1: Apparently, peacocks randomly strolling down the sidewalk is considered normal on the Palos Verdes Peninsula. I was in the area to tour a house, and right as I stepped out of my truck, I noticed a peacock just casually walking along. I hid behind my truck and snapped a photo assuming that it would flee if I made my presence too obvious, but it seemed to not really care. After the fact, I did a bit of research on Google, and apparently Palos Verdes actually has a peacock problem. Lesson #2: If you ever get a house that doesn’t have enough bathrooms, have no fear. 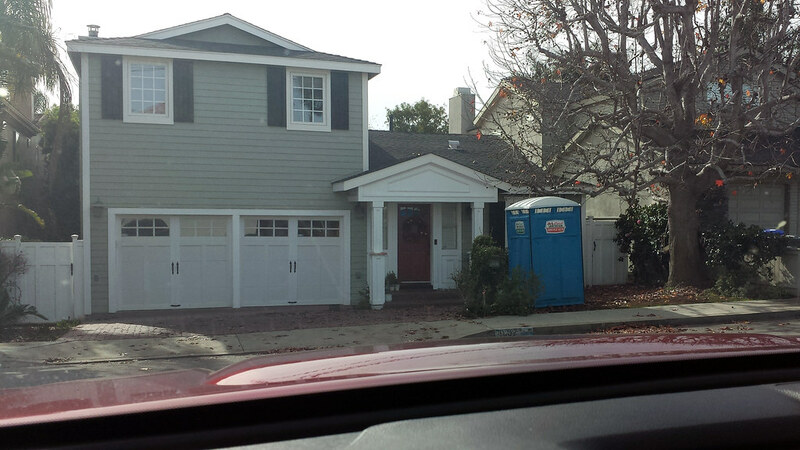 … Just put a portable toilet system in your front yard.